I have never seen The Greatest Showman but I am assured by all who have that I would love it. I am not entirely sure about that because very strong promises were made about Mama Mia 2 and I was spectacularly let down there. 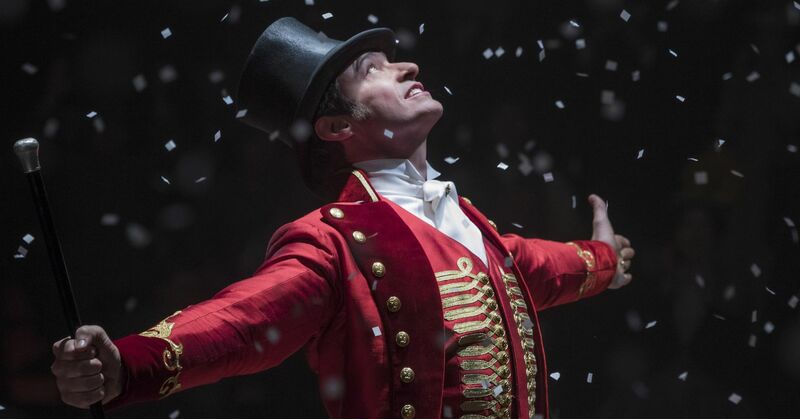 However, this week a video was released on YouTube to a song from The Greatest Showman and although there is no connection to the film I will be looking through rose-coloured spectacles everytime I see Hugh Jackman in a ringmaster’s suit. If you have tissues – be prepared to use them. I know I have said it so many times before but it bears repeating. When did we decide that we “normal” people are Kings of the World and we decide only “Normals” get the chance to even live? How did we come to a place where it is a huge decision to bring up a child with extra needs – any extra needs – because our society is not set up to cope? BTW – this is not about abortion which is a completely different debate. It’s about the way we measure society/worth/achievments. It is all skew wiff. One of the many things we saw Jesus do was subvert the norm. His whole life seemed to me to be a call to see things as his Father saw them and that is NOT how we see things. When a woman accused of adultery is brought to Jesus, he challenges the right to justice and persues mercy. He asks the woman about her accusers and listens to her reply. (Hmmmm. Drums fingers on chin) He calls for a changed life and asks people to look within themselves at their motives. When people asked Jesus what sin a man or his family had committed to give a reason for his illness. Jesus replies – neither. Sometimes things happen so that God can operate in a situation and wake people up to what is important. I don’t think that Jesus was bothered about the desecration of the Temple by people turning it into a marketplace. Isn’t what upset him more the blockage that the moneychangers were causing to people’s road to the Father – their prayers, their chance to be heard? I remember having a particularly good guest speaker at our church one night. He was warm, funny and engaging and went down really well. It was therefore a bit of a shock to discover that, after most Sunday night preaches, he would go out onto the streets looking for his addict son to make sure that he was safe. He rarely mentioned it when he visited churches. He found that people used to give him that “Wonder what went on there to bring that on” look. (BTW quite chuffed that our pastor went out with him that night) I also remember someone coming out to me and wisely pointing out that the last place he wanted to be, while he was working things through, was church – with all the certain condemnation that would bring. I had to admit that he was right. These are the difficult realities of life. I just think it would be brilliant to do everything to make a world where those who are dealing with enough don’t have to deal with more discomfort than they need to. And those who aren’t really dealing with anything apart from having to fit into people’s strange expectations just get to get on and love their lovely children without society feeling that it is doing them a favour.